Mr. Saltzman’s experience spans all aspects of labor and employment law – from discrimination to wage/hour and termination issues, employee benefits and labor-management relations. His counsel is regularly sought in connection with the employment aspects of complex corporate transactions, including issues related to work force reductions, sales, acquisitions and relocations. He regularly represents clients in federal and state court, before federal, state and local administrative agencies and in arbitration and mediation proceedings. Prior to joining Pitta LLP, Mr. Saltzman was a partner at Pryor Cashman Sherman & Flynn LLP and before that at Herrick Feinstein, LLP, both in New York City. Mr. Saltzman is a member of the Bar of the State of New York and is admitted to practice before the U.S. District Courts for the Southern and Eastern Districts of New York and the U.S. Court of Appeals for the Second Circuit. Since 1992, he has served as a court-appointed mediator for the U.S. District Court for the Southern District of New York, receiving an award for his service. 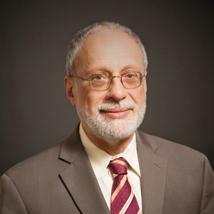 Mr. Saltzman is a member of the New York State Bar Association and the American Bar Association.